"Accentuating your beauty from the inside out"
The class was so much fun, so informative and I'm gonna be so fine now! Thank you Hillary! I absolutely LOVED my makeup! I will be booking my next session very soon! Yassssss honey! Beat to remember. Your hands are from the GODS! I loved it! Yes!! You had my bridesmaids all the way together! Thank you again! I got a lot of compliments! Definitely will be back soon! I had such a great time with your one on one makeup class! You were really informative! I would recommend anyone to come to you! OMG! I wish I could use your services every day! I wouldn't trust anyone else to slay my face. You are the best.. hands down! Thank you so much, babes! I felt like an absolute QUEEN! Join the party! 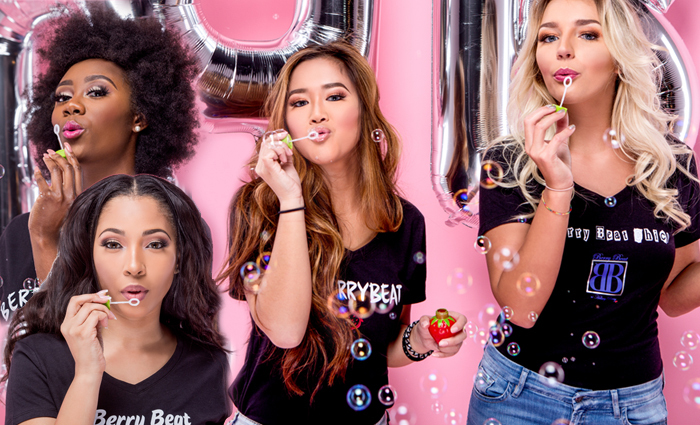 Subscribe to our mailing list and get 10% off your first #berrybeat makeup service!